A Médecins Sans Frontières/Doctors Without Borders (MSF) physician who was infected with Ebola Virus Disease was released today from HHC Bellevue Hospital Centre. Dr Craig Spencer contracted the virus while on assignment in the West African country of Guinea. Following confirmation of test results by the U.S. Centres for Disease Control & Prevention (CDC), Dr Spencer’s medical team has determined that he is virus-free and no longer contagious. He was admitted on 23rd October 2014, after notifying MSF medical personnel that he had developed a fever. The New York City Department of Health & Mental Hygiene was immediately informed and Dr Spencer was swiftly admitted to HHC Bellevue Hospital Center, where laboratory tests confirmed Ebola infection. “We are immensely grateful that Craig has recovered from Ebola, and are very appreciative of the exceptional care provided to him by the medical team at HHC Bellevue Hospital Centre,” said Sophie Delaunay, executive director of MSF-USA. “The Ebola epidemic continues to rage in West Africa and requires the continued commitment of medical volunteers to fight it. Tackling this crisis requires a two-fold commitment from medical volunteers and the public. “Upon their return home, health workers must diligently monitor their health condition - as Craig did - while the public must not stigmatise and even threaten these volunteers,” she said. 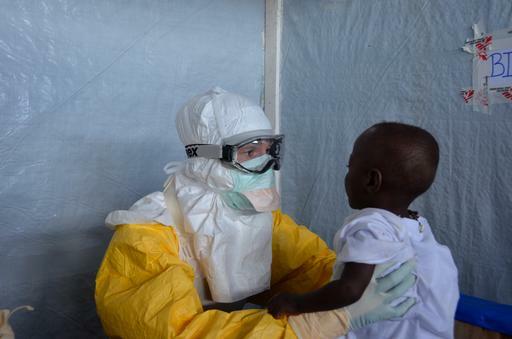 MSF have been treating patients in West Africa for Ebola since the outbreak started in March 2014. Since the Ebola outbreak in West Africa was officially declared on 22nd March in Guinea, it has claimed 4,959 lives and infected 13,263 people in the region. The outbreak is the largest ever, and is currently affecting three countries in West Africa: Guinea, Liberia and Sierra Leone. MSF operates six Ebola case management centers, providing approximately 600 beds in isolation, and two transit centres. Since the beginning of the outbreak, MSF has sent more than 700 international staff to the region and admitted more than 5,600 patients, among whom around 3,500 were confirmed as having Ebola. More than 1,400 patients have survived. In addition to the provision of medical care, MSF teams are training health staff, supporting infection control efforts, conducting contact tracing, carrying out epidemiological surveillance, distributing home protection kits, and ensuring safe burials. MSF has also begun mass distributions of anti-malaria treatment to approximately 300,000 people in Liberia, in order to reduce illness and deaths in the poorest and most densely populated areas of Monrovia - where access to health care was already greatly limited - and to reduce the risk of people becoming contaminated with Ebola in health facilities. Every time an MSF staff member is infected with the virus, a full investigation is undertaken. If necessary, MSF medical safety protocols are amended. The vast majority of staff infections were found to have occurred in the community. The investigation into Dr Spencer’s infection is ongoing.